As part of its mission to improve road safety throughout the UK, GEM Motoring Assist has launched a brand new campaign to promote horse rider road safety, which has been given the seal of approval by TV personality Deborah Meaden. With almost 10% of reported incidents in 2012 resulting in a horse fatality and 7% causing serious injury to the rider, GEM, road safety organisation and breakdown cover company, has created a ‘Horse Rider Safety’ leaflet in conjunction with The British Horse Society to promote road safety for both horse riders and drivers alike. 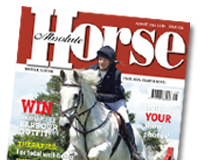 To print a free copy of the ‘Horse Rider Safety’ leaflet, visit www.motoringassist.com/leaflets. Alternatively, call 01342 825676 to order a free, single hard copy or to order free bulk copies.